Valle della Luna – a mecca in the 60’s and known all over Sardinia as a hippie hangout, is one of the most surreal and controversial places I have ever seen. A vast valley in the north of Sardinia made up of colossal granite formations and where seven different valleys carry you to the sea or deep into the crevasses of Sardinia’s interior. It’s surreal in the sense of being on a film set, it doesn’t feel real. The massive formations of granite take on shapes and faces, bringing alive the valley and its ghosts. Surreal because you are instantly transported to another absurd, panoramic view that leaves one in awe, in awe of earth and life. Controversial because of the people who live deep within Valle della Luna’s grottos and mountainous terrains, people who live freely, people who still adopt the same principles and lifestyles of those famous hippies of the 60’s. Controversial because some people want to stop that lifestyle. Valle della Luna, one of the most spectacular places I have ever seen and I’m eager to discover her seven hidden valleys. Thank you so much for your services. 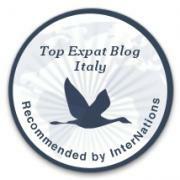 I am truly grateful for your great articles about Sardinia. I left Sardinia long time ago. Like you I am immigrant in another country so I think I understand your heart. I have been reading your posts and admiring your photos, you are truly one of Sardinia’s best ambassadors. Thank you Tony for such kind words. Have you come back to holiday? Sounds absolutely beautiful. Nice writing too. This is very interesting – would you post more pictures? Glad you liked it and are eager for more. I’ll see what I can come up with in the next few days.